Here is Airside the ultra lightweight range of composite safety footwear. 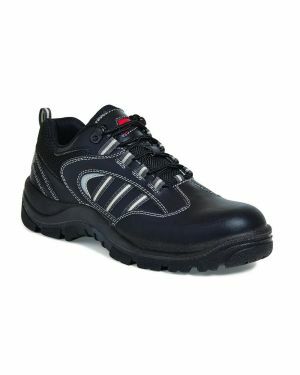 These are made using the lightest components available today for safety boots, safety shoes and safety trainers . We are talking 200 joule tested PLASTIC toecaps and KEVLAR under sole protection all fully compliant with ISO EN 20345 as required here in the UK. So if you need to stay away from metal i.e. 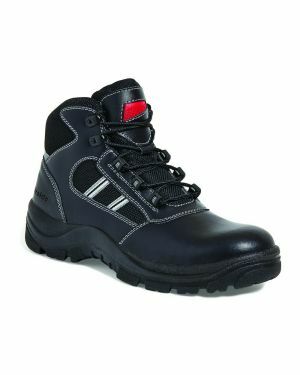 work in an airport security environment and you just need to go through metal detectors without taking your shoes or boots off, or if you simply want the lightest safety boots, safety shoes or safety trainers on the market, Airside safety footwear will be the right choice for you. In addition to the above features, the Airside safety trainer SS702 is an ESD safety trainer which is for working in ESD (ERA) Electro Static Discharge sensitive areas. Once again, you will not believe how light these safety trainers are.